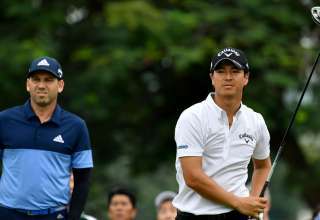 American Casey O’Toole fired the first ace of the season on the Japan and Asian tours at the second hole for a three-under-par 68. 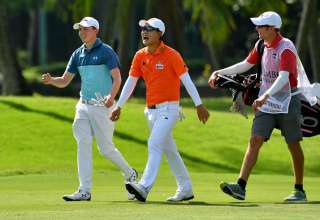 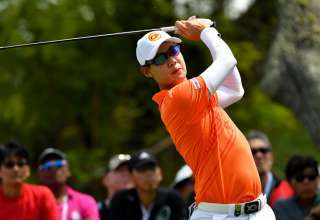 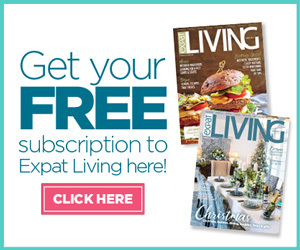 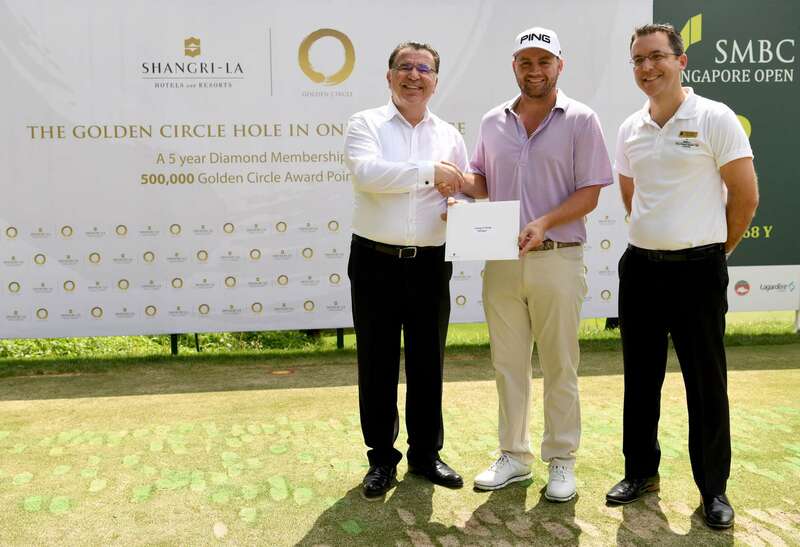 He had a round to remember after missing the cut last year, and holed out at the 168-yard, par-three second with a seven iron and won a five year Shangri-La Hotels and Resorts Golden Circle membership worth 500,000 points. 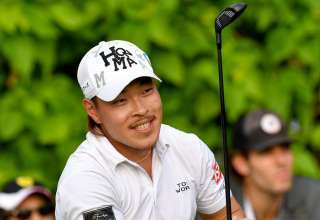 He also carded four birdies and three bogeys in an up and down round. 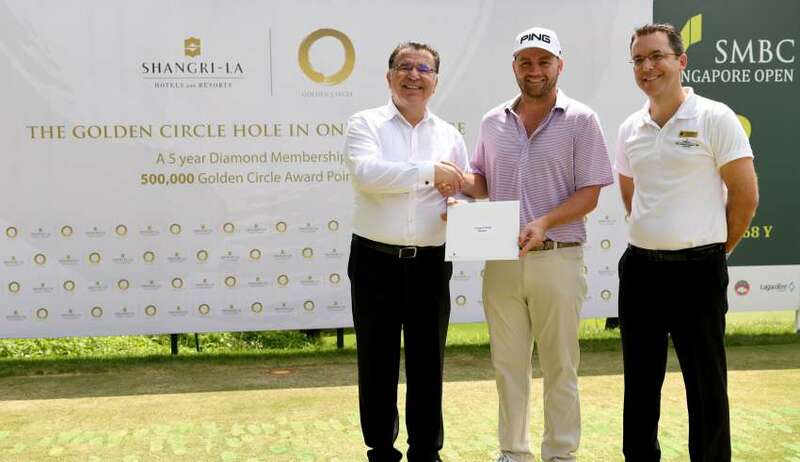 He is pictured receiving his reward from Mr Tane Picken, General Manager, Shangri-La’s Rasa Sentosa Resort & Spa, Singapore and Mr Cetin Sekercioglu, Executive Vice President, Shangri-La Hotels & Resorts.